In a year with Devil May Cry, Metal Gear Rising: Revengeance and God of War Ascension, Killer is Dead certainly has a lot of competition in the hack & slash genre. Fortunately, it stands on its own and may be the most polished, thoroughly playable Suda 51 game in quite some time. Suda 51 and his team at Grasshopper Manufacture joined with Kadokawa games yet again to bring us another quirky, bloody game about killing stuff. This time we’re Mondo Zappa, a brilliantly named gigolo assassin wielding a katana and a cybernetic power-arm, tasked with killing all sorts of powerful jerkbags in a cybernetically-enhanced future. The future is actually somewhat believable, as body modification becomes more and more common, of course people are going to use it for evil. Feels natural. And insane. In the interest of time (and the out-of-order nature of the demo’s stages) I skipped the story cutscenes and went straight to the slicing and dicing. The game follows the traditional hack & slash gameplay methodology of combo-ing enemies into pieces with basic attacks on one button. A healthy mix of enemy attacks and a variety of enemy types force you to dodge around the map, performing counters as a reward for quick reflexes, and reflecting bullets at ranged enemies. The combat was fast, frenetic and the graphical flourishes on successful attacks were enthralling. It truly feels like Mondo a badass with a lot of power. As this is a Suda 51 game, there’s bound to be some crazy mechanics beyond the second-to-second gameplay. Blood is an integral part of Killer is Dead, both thematically and mechanically. This is a gruesome game, and with its vibrant art style all the brutality is near-tangible in its execution. However, the blood of his enemies isn’t just busy work for custodial services; Mondo derives power from it and can use it to enter a state of heightened power and ability. The gameplay evolves from tearing enemies apart to devastating them. Mondo’s not just an assassin, however; recall that he’s also a gigolo. While I’m not sure how frequently these missions will occur, there are sort-of dating-sim puzzle excursions between levels which grant you cyber-arm upgrades. As a gigolo you’re tasked with seducing all manner of gorgeous women, but instead of having sophisticated conversations you mix staring at their face, their breasts and crotch region, and giving them gifts. Whether this works in real life is unconfirmed, but it’s certainly a very odd feeling way to end up in bed with a woman, let alone for her to magically upgrade your robotic arm-cannon-drill-thing. I did enjoy the puzzle elements of it, though it was a tad long of a mission (perhaps because I did not know what I was doing), and it’s really awkward staring at a women’s lingerie bra on a crowded E3 show floor. 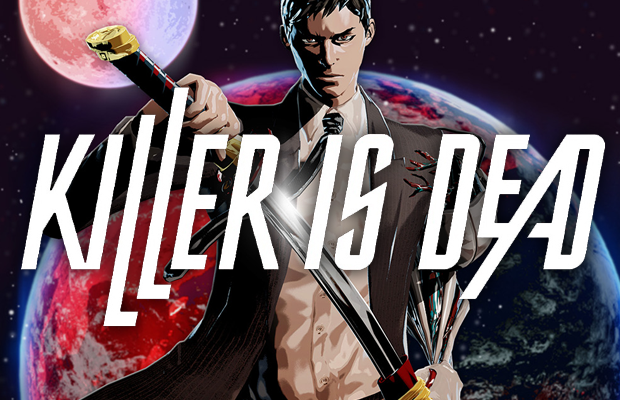 It’s weird, it’s beautiful, it’s exciting – Killer is Dead is now one of my most anticipated games releasing in the retail space for 2013. Look forward to it Q3 2013 internationally (August 1 in Japan) on Xbox 360 and PS3.